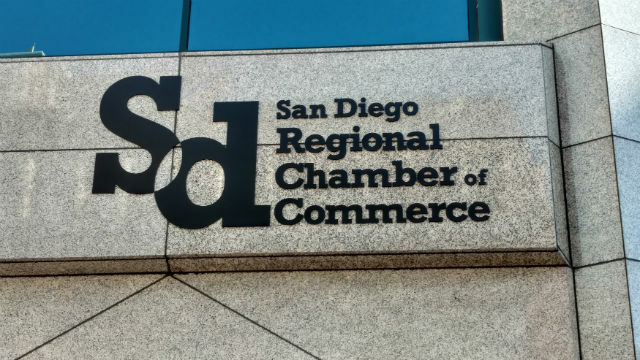 The San Diego Regional Chamber of Commerce‘s final business outlook survey for 2018 released Wednesday showed reduced expectations for the new year. “The lowered expectations on future revenue and business conditions suggests that local businesses sense a slowdown is coming, but they are not yet seeing that at their own companies,” said Tom Wornham, chief executive officer of CalPrivate Bank, the sponsor of the chamber’s monthly survey. A random sample of 202 local chamber members were surveyed Dec. 13-20, before the partial government shutdown began. Their responses were used to calculate a Business Outlook Index of 14.9, unchanged from November, but down from almost 20 as recently as August. The chamber said the survey showed optimism about revenue is down and the short-term outlook about business conditions is even less enthusiastic, slipping significantly from the previous three-month average.